We are so convinced you will love training with us, that we are giving away a complimentary group session. No strings attached. Come in, and try it out, we know you will love it! Contact us now, places limited. ​Martial arts training should be challenging, but not hyper-competitive. The mat should be a place of personal exploration, about pushing ones limits, learning about the magic of martial movement and the freedom to take risk. 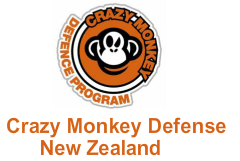 At Crazy Monkey we focus on our clients personal goals, with training molded towards their success. We have No Meatheads, No Hyped-Up Ego’s and the Smash Attitude so prevalent in the modern martial art world. Don’t take our word for it….come in and TRY it out!